The deadliest fire in California’s history continues to claim lives and wreak havoc across vast swathes the West Coast state. So far, at least 56 people have lost their lives in the blaze, with some 130 still missing. Roughly 9,000 firefighters are attempting to curtail numerous fires across the state, with the largest “Camp Fire” being located in the North. The director of California’s fire service said “progress is being made” in its war against the flames, but as of Wednesday, the blaze is still just 35% contained. The epicenter of the fire was in the town of Paradise, which has been utterly destroyed by the raging inferno; town officials have estimated that rebuilding the area is likely to take several years. But despite estimates that an incredible 80-90% of Paradise neighborhoods were destroyed in the fire, the town’s mayor remains hopeful for the future. “We’re gonna come back, we’re gonna rebuild. We’re gonna make Paradise Paradise again,” said Mayor Jody Jones of her devastated community. There is no doubt that Paradise has a future, but right now, residents of this quiet town are utterly shellshocked at the sheer devastation that surrounds them on all sides. Among the dead was a two-time cancer survivor, 65-year-old Ernest Foss. Despite having fought off the ghastly disease on two occasions, the effects of his battle had left him bedbound. His body was discovered outside his home. Foss was a talented musician who moved to Paradise from San Fransico around eight years ago. “I love that he shared his gift of music with me and so many others during his lifetime,” said his daugther Angela Loo, according to Sky News. 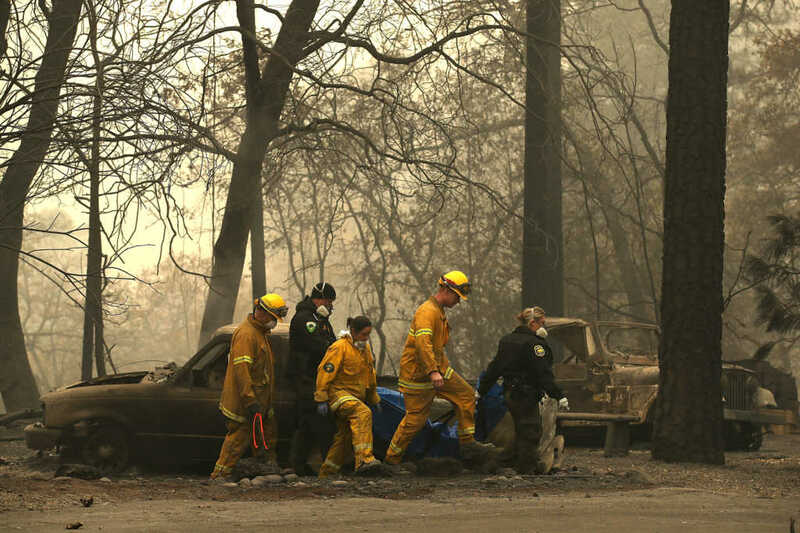 “Paradise had done a lot of pre-planning for just this kind of an emergency but the fire of course was unprecedented, overwhelming and so a lot of people got caught,” said California’s governor, Jerry Brown, following the tragic loss of life. The damage is absolutely staggering, with one of the town’s two elementary schools completely destroyed by the flames. Many residents have blamed Butte County leaders for their sluggishness in declaring an emergency and issuing evacuation notices to the town’s population, which is numbered at around 25,000. In Southern California, crews continue to battle the Woolsey Fire, which has already claimed at least two lives. The fire has scorched almost 100,000 acres of land, and is 52% contained. Do continue to pray for all those who are recovering from this horrific fire.